Having served a Youth Minister for nine years, I have heard a lot of unique questions from many young people. Some of the most interesting ones have particularly been around the topic of life after death, Heaven, and Hell. I love to see what they are wrestling with in their hearts and minds. What will we look like in Heaven? Is there any way we can know for sure what Heaven will be like? Why does Hell have to exist? Are people in Heaven still married to each other? And of course, my personal favorite: “Will my dog be in Heaven?” These are universally some of the most fascinating and scary questions for people in the world today. Why? Because no matter what we believe (or don’t believe) we know we have a limited, finite amount of time on Earth. And there is nothing we can do to change that reality. While our lives on Earth, we are transformed and enter into a whole new realm with Jesus Christ. Even when our physical bodies die, we are very much alive and become more fully alive. What they fail to grasp is that for God to be the God of someone, that person must be in relationship with God. 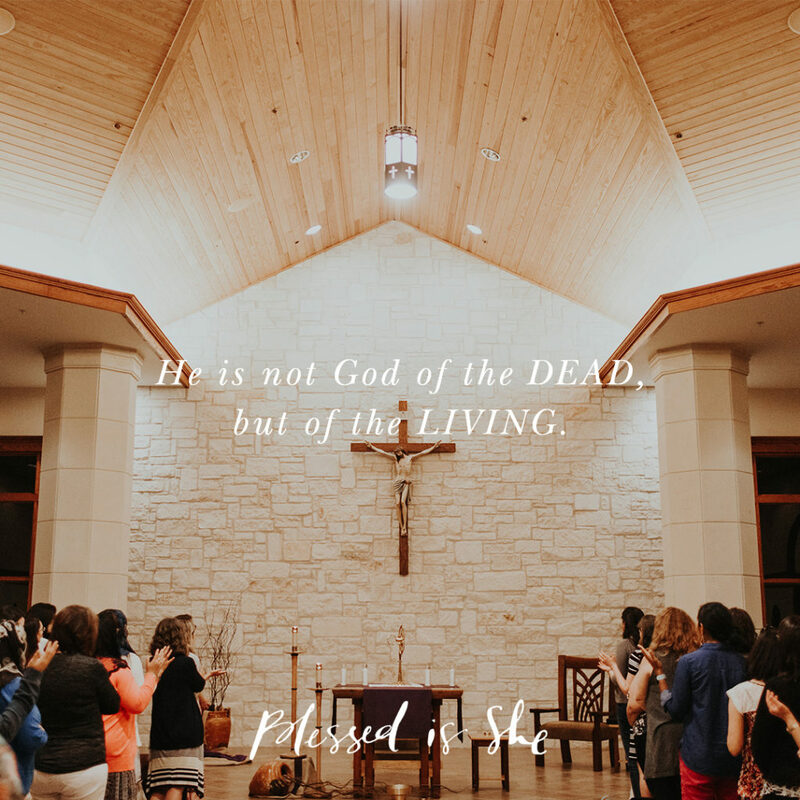 For He is not God of the dead but of the living. When we are in relationship with God, death cannot have any power over us! That is why death never has the last word and will never win. Our relationship with God is eternal and will continue on in the afterlife, for Jesus makes clear that there is one. While our physical life ends and our bodies cease to exist, we are transformed and enter into a whole new realm with Jesus Christ. Our bodies return to the dust of the earth and our souls face judgment. In the life after death we are very much alive, and when Christ comes again and creates the new Heaven and the new Earth we will be reunited with our bodies for all eternity. This resurrected blessedness is that which we believe and for which hope, when our bodies and souls are one again. Each Sunday, Catholics and many other Christians profess our faith in “the resurrection of the body” as we recite the Nicene Creed. Yet how many are fully aware of this truth and all that it implies? At Mass this Sunday, close your eyes as you pray the words of the Creed. Really listen and pray those words from the depths of your heart. Hold tight to that promise and hope of the Resurrection. Are you able to hold close to the promise of the Resurrection? Thank you Patty for this beautiful reflection. I will close my eyes this Sunday and really pray the words. Thank you.